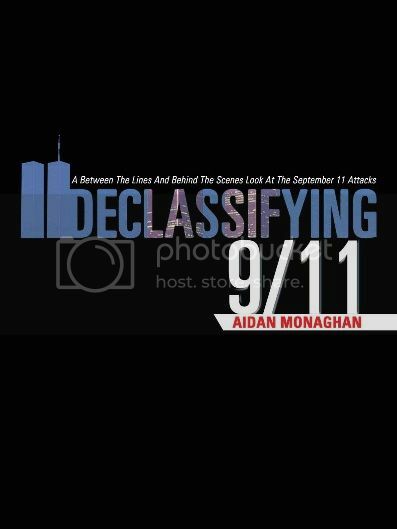 By reading between the lines, connecting dots hidden in plain view and seeking corroboration of the alleged version of September 11 events from regional and federal governments by way of Freedom of Information laws, September 11 researchers provide evidence of not only a seeming cover-up surrounding the events of September 11 but scientifically based and thoroughly researched explanations for the reported events that unfolded over the skies of America that day. During a recent 60 Minutes interview, a SEAL Team 6 member who fired at a subject alleged to be Osama Bin Laden, said that the subject did not look like Bin Laden. Question (60 Minutes): "Did you recognize him?" Answer (SEAL Team 6 Member): "No". Earlier this year, in response to an open records request, the Pentagon told the Associated Press it could not locate any photographs or video taken during the raid or showing Bin Laden's body. It also said it could not find any images of Bin Laden's body on the Navy aircraft carrier where the al-Qaida leader's body was taken. The Pentagon also said it could not find any death certificate, autopsy report or results of DNA identification tests for Bin Laden. On April 3, 2012, the National Institute of Standards and Technology (NIST) released an additional 17,000+ pages of World Trade Center (WTC) records obtained by them from the Port Authority of New York and New Jersey, the New York City Department of Buildings and Turner Construction. The latest records are part of an ongoing NIST WTC records release. NIST has since advised that more records will follow. On March 20, 2012, the National Institute of Standards and Technology (NIST) provided via reply to a Freedom of Information Act (FOIA) request, detailed records describing construction plans for the New York City Office of Emergency Management (OEM) “bunker”, as well as a confidential post-collapse World Trade Center (WTC) assessment by the New York City Department of Buildings. Within a March 16, 2012 Freedom of Information Act (FOIA) reply, the Indian Head division (IHD) of the Naval Surface Warfare Center (NSWC) advised that it possesses no records describing uses of its nano-thermite products, despite IHDNSWC being described as the leading developer of nano-thermite circa 2008 and being "the only reliable source of aluminum nanopowders in the United States” circa September 11, 2001. In 2009, the discovery of nano-sized thermitic material within World Trade Center dust samples was reported. The National Institute of Standards and Technology (NIST) advised via a February 2, 2012 Freedom of Information Act (FOIA) reply that NIST will begin releasing all records in their possession obtained from the Port Authority of New York/New Jersey, Turner Construction and the New York City Department of Buildings used during their investigation of the collapses of World Trade Center (WTC) buildings 1, 2 and 7. 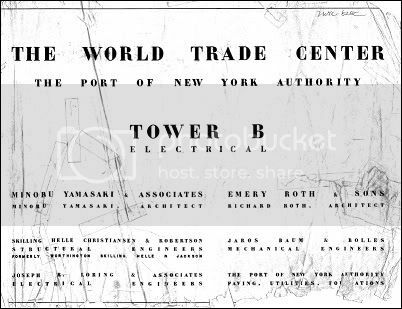 The records of most interest obtained thus far consist of various schematic drawings of WTC 1 and 2. Since September 11, 2001, it has generally been accepted by the media and the 9/11 Commission itself, that the loss of Secondary Surveillance Radar (SSR) information for three of the four September 11 flights was caused by accused hijackers who allegedly seized control of the aircraft flight decks and manually turned off each plane’s Mode S (Mode Select) transponder, for the purpose of evading detection and interception by U.S. air defense systems. However, this conclusion appears to be based only on circumstantial information - the simple loss of SSR flight data to Air Traffic Control (ATC) – and seems unsupported by conclusive information. Moreover, ATC was nevertheless still able to tag and track three flight’s primary radar returns and estimate their location, direction, ground speed and even altitude changes. Perhaps the most significant consequence of lost September 11 flight SSR data to ATC was a circumstantial impression of accused hijacker flight deck takeovers. As can be shown, aircraft Mode S transponder SSR information can be caused to vanish from ATC radar displays by other documented means. Coincidentally or not, the only September 11 flight with a continuously operative transponder (United 175), was also the only flight with a transponder able to warn away the only other flights in serious danger of colliding with a September 11 flight, thus facilitating it's subsequent impact with World Trade Center 2 (WTC 2). On December 12, 2011, the appellant’s reply brief was entered before the U.S. 9th Circuit Court of Appeals in the matter of Monaghan v. Department of Justice, dismissed earlier this year by the U.S. District Court of Nevada. This action seeks the release of numerous FBI records regarding the terrorist attacks of September 11, 2001, including the actual audio recording obtained from the cockpit-voice-recorder for United Airlines Flight 93, plus Pentagon and Shanksville, PA crash scene evidence collection records. Much thanks to those who have generously donated to this effort. On November, 7 2011, the U.S. Department of Justice entered its reply to the plaintiff’s opening brief, before the U.S. 9th Circuit Court of Appeals in the matter of Monaghan v. Department of Justice, dismissed earlier this year by the U.S. District Court of Nevada. This action seeks the release of numerous FBI records regarding the terrorist attacks of September 11, 2001, including the actual audio recording obtained from the cockpit-voice-recorder for United Airlines Flight 93, plus Pentagon and Shanksville, PA crash scene evidence collection records. The DoB reply also affirms a previous finding that no elevator records whatsoever were located regarding the extensive elevator modernization within WTC buildings 1 and 2, one of the largest ever. Additionally, the DoB reply advises that the Port Authority of NY/NJ are not under the jurisdiction of the NYC DoB and that records for major pre-9/11 renovations may not have been submitted to the DoB. The Port Authority of NY/NJ have previously advised within FOI records that records for major pre-9/11 renovations within WTC buildings 1 and 2 were destroyed on September 11, 2001. On September 6, 2011, the appellant’s opening brief was entered before the U.S. 9th Circuit Court of Appeals in the matter of Monaghan v. Department of Justice, dismissed earlier this year by the U.S. District Court of Nevada. This action seeks the release of numerous FBI records regarding the terrorist attacks of September 11, 2001, including the actual audio recording obtained from the cockpit-voice-recorder for United Airlines Flight 93, plus Pentagon and Shanksville, PA crash scene evidence collection records. The United States Secret Service (USSS) has reported within an August 5, 2011 Freedom of Information Act (FOIA) request that a search of USSS files produced no records of the reported Bilderberg meeting in Chantilly, VA on June 5-8, 2008 at the Westfields Marriott and no records of the attendance of then U.S. Senators Barack Obama and Hillary Clinton. Obama and Clinton were both assigned USSS protection in 2007. NOTE: some of the hits for Senator Barack Obama showed he was scheduled to be in Virginia during the identified timeframe, but specific locations did not match the request.